This photo is so ordinary and grainy and dark and ugly but it's one of my favorite photos in the world now. I was just cleaning out my phone and came across it and looking at it feels like both a punch in the gut and like I'm cloud nine. 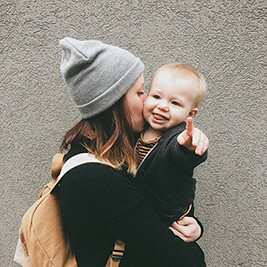 I remember quickly taking it as I put him to bed the night before I left for New York, knowing it would be the last time I nursed him. I cried a little bit and stroked his hair but mostly just smiled.. a lot. And he looked up at me like what?? I mean, I had done this every single day since the day he was born...I couldn't stop without (quite) a few tears. It's funny because I didn't really intend on nursing him past the year mark but when he turned one I/we just weren't ready. He would be about 18 months when I left for my trip and we decided that was probably the best way to go about it, clean break. He did fine and I did fine. And he's still the cuddliest little man on the planet so all is well in the world. I know I'll have and nurse more babies (like 1,000 more if I could) but excuse me while I cry for awhile about my baby not being a baby any more. (and lets REALLY not talk about how he'll be turning 2 in a few months). Being a mama is so emotionally exhausting, am I right???? My son will be a year in one month and one day, and people keep asking what I'm thinking about breastfeeding. Part of me is Really Ready To Be Done, especially because he's been doing this thing where he wakes up wanting to nurse every hour all night, but most of me can't imagine that I'll actually be done. Aw! 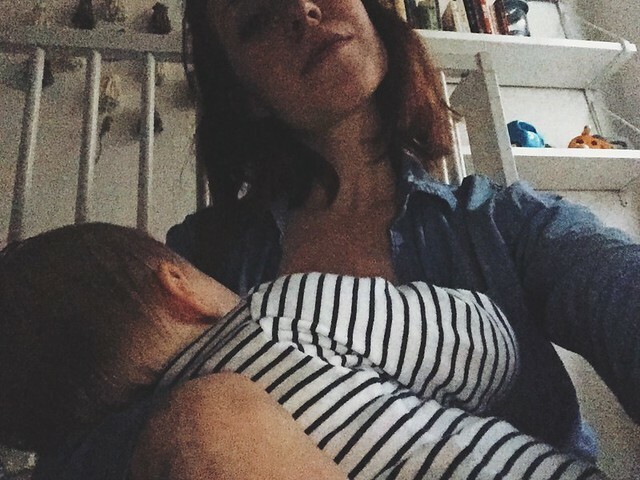 I can't imagine not nursing my daughter (she is almost ten months.) It'll definitely be a hard transition for the both of us (and probably more so for me.) I'm hoping to make it to a year + half but we shall see! I'm already nostalgic and we're still nursing! I feel you! I felt the same way when my oldest boy and I weaned at 14 months. Talk about a jab in the kidney when he didn't even seem to notice the change either! I'm trying to enjoy his baby brother's breastfeeding now as much as I can, he's already 4 months old and I know how fast it goes. My baby is in my arms, cutting her first tooth and I can't help but lament that I'll never see her gummy smile again. Oh, love. Thanks for sharing this! We are going on month 16 and wondering when our journey will end. In some ways I'm ready, but also not quite.